Thirumanikandan Rajasekar, a fresh graduate with Bachelor’s Degree in Computer Science and Engineering has kickstarted his career as SharePoint consultant. He is part of InFI’s 3rd SharePoint team. InFI gathered six member team to develop SharePoint applications development group for QFingers, a partner company of InFI. Manikandan and his team was mentored by Gopal and Maha on technology, personality and communications. He worked very hard to build the skills required at InFI with the help of mentors, and succeeded in getting career break as Sharepoint administrator. 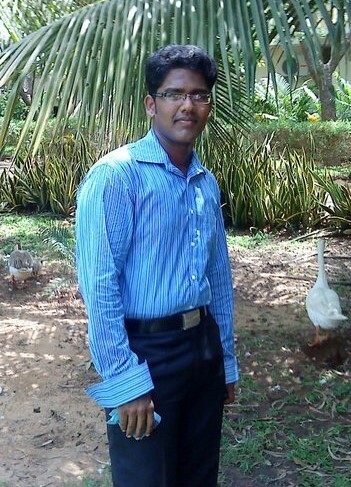 Manikandan is currently working as SharePoint administrator in Dell Services. Manikandan’s SharePoint expertise is in managing site collections, site configurations, site templates and web portal, Web-Parts using the object model (C#, .NET). His expertise also includes creating list, list items, list views, site columns and content types with extensive experience in site navigation in MOSS 2007/2010. He worked on creating custom features, their deployment and testing before go live. He developed Custom Workflows using Share point designer InfoPath forms for Document Information. InFI wishes Manikandan continued success in his career as Sharepoint consultant. He can be reached at r.thirumanikandan@gmail.com for help on SharePoint related career advice.